This Band includes players in grades 9 – 12 and is open to all interested students without an audition. 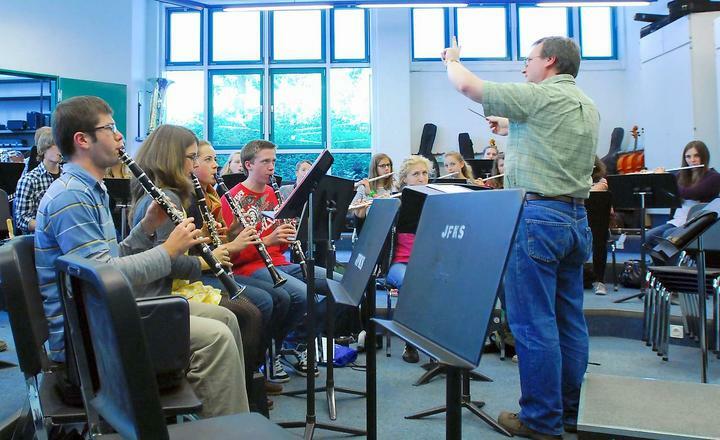 The HS Band meets 3 hours a week and prepares high-level repertoire throughout the year. This graded class gives 3-5 concerts per year. Students have the opportunity to take this class as a Grundkurs with additional project work assigned. Membership is approximately 60. (Students who are members of this group have the opportunity to audition for and participate in the High School Honor Band (grades 9-12) sponsored by AMIS (Association for the Music in International Schools)).